For centuries the native tribes of northern Mexico have been using plant extracts to relieve pain. With that knowledge and modern science, we've developed a unique formula by blending those plant extracts with safe active ingredients. 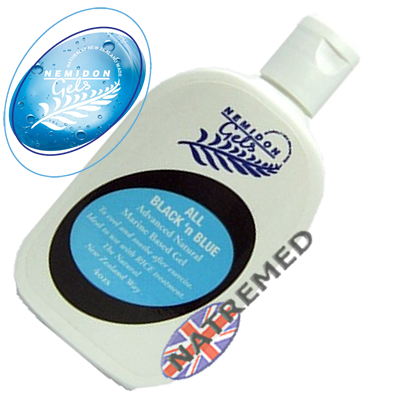 The result - an elegant gel that provides temporary relief to minor aches and pains. 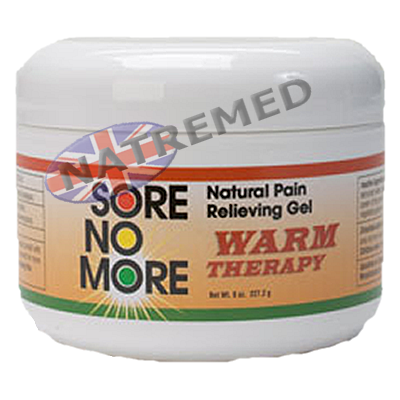 Sore No More Natural Pain Relieving Gels are fast acting and begin to work immediately once it is massaged onto affected areas, providing temporary relief of pain associated with neck,shoulder, backaches, arthritis,strains and sprains with its unique heating and cooling ingredients. Contrary to other analgesics sold on the market today, which are formulated with waxes, oils, artificial colours, parabens and other chemicals, we carefully selected these active ingredients for the safest results in this product. Sore No More is completely alcohol free, non-greasy, non-staining, and has a light refreshing scent that comes from orange peel extract and witch hazel. Sore No More is made from pure and natural ingredients without unhealthy solvents, diluting agents, preservatives, and is animal by-product and animal testing free. When capsaicin binds to TRPV1, it causes the channel to open below 37°C the normal human body temperature, which is why capsaicin is linked to the sensation of heat. Capsaicin is used in topical ointments to relieve the pain of peripheral neuropathy. In concentrations of between 0.025% and 0.075%. It can be used as a cream for the temporary relief of minor aches and pains of muscles and joints associated with arthritis, simple backache, strains and sprains. Contrary to other analgesics sold on the market today, which are formulated with waxes, oils, artificial colours, paraben and other chemicals, we carefully selected these active ingredients for the safest results in this product. Sore No More is completely alcohol free, non-greasy, non-staining, and has a light refreshing scent that comes from orange peel extract and witch hazel. Please Note we have discontinued the 4oz Jars. These have now been replaced by the more convenient to use 4oz Tubes.